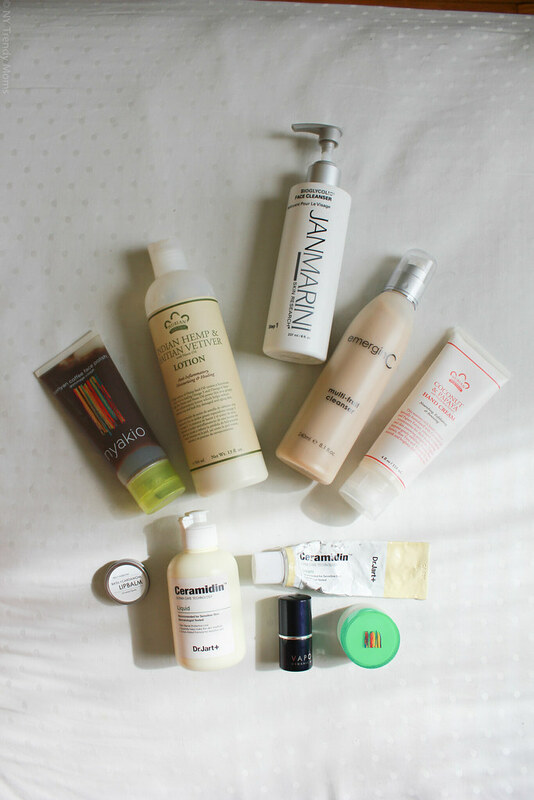 I'll start with two organic lotions that I've been using everyday and my skin has become a lot softer. I visited my favorite organic store in Astoria Fresh Start after smelling it on my neighbor. 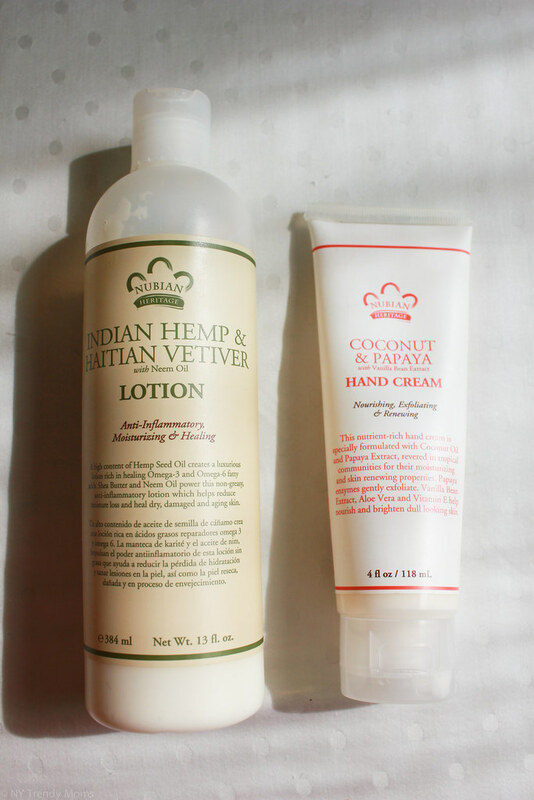 Indian Hemp & Haitian Vetiver with Neem Oil by Nubian Heritage. I love applying this on my skin right after showering. While at the register of the store I saw something else that caught my eye, a Coconut & Papaya hand cream (tell me that doesn't sound amazing!). 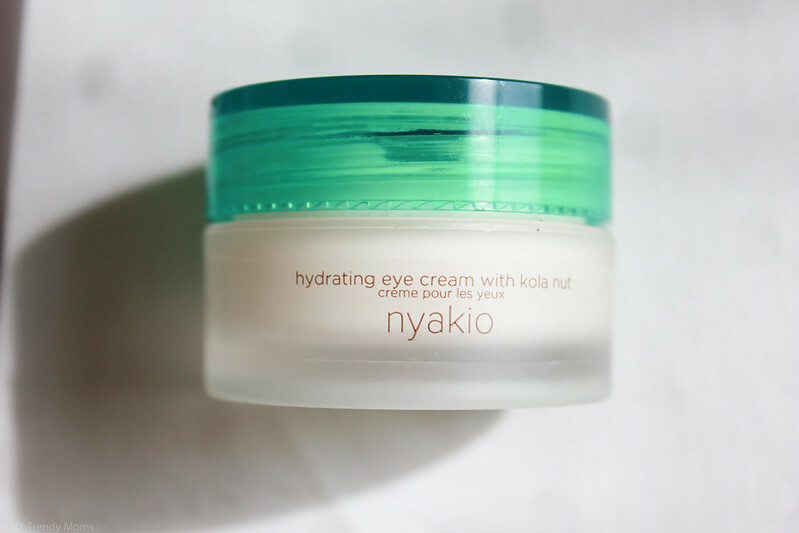 This cream is also made by Nubian Heritage. I love anything fruity or tropical, it reminds me so much of Dominican Republic, my families culture and my upbringing. Of course I bought it! This hand cream is phenom! The minute you rub it on your hands you will get people murmuring "mmm... what is that?" & you know that's always a good thing. As a stay-at-home mom I'm always working with water and this causes my hands to become very dry. This hand cream is my secret to having moisten and good smelling hands. I was never into taking care of my lips. I was always buying products for my face but always neglected my lips (am I the only one?). I decided to treat my lips as I treat my face and I have discovered two lip treatments that I recommend for dry/chapped lips. 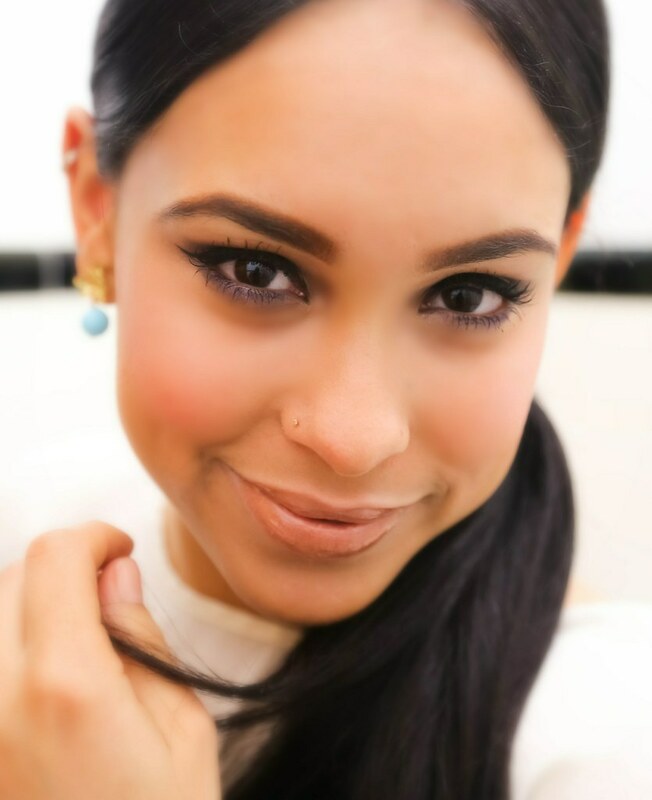 It is so important to apply some type of lip conditioning when applying lipsticks (specifically MAC lipsticks). I noticed how unhealthy my lips get after using certain lipsticks. I honestly don't know why but after applying lipstick on my bare lips I tend to see my lips shrink/get thinner, dried and somehow look older. These two products have been protecting my bembas from all this. 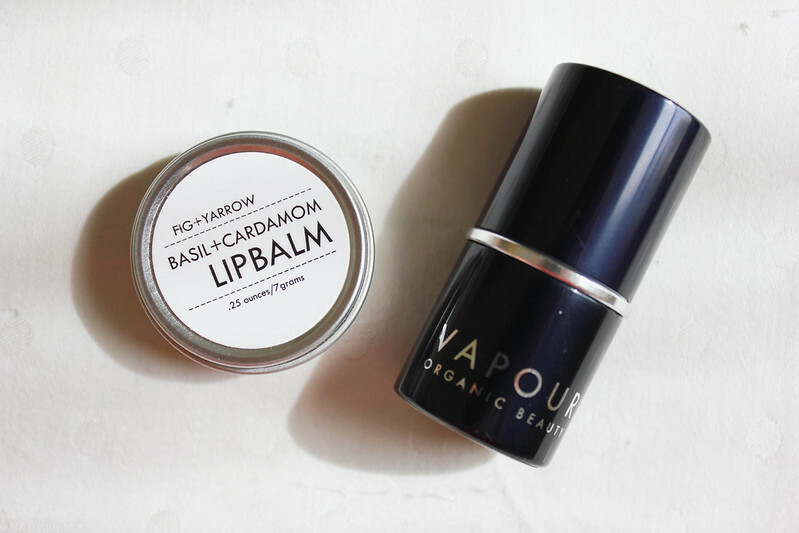 The first one is an organic lip conditioner by Vapour (buy here) and the second one is a Basil + Cardamom lip balm by Fig+Yarrow (buy here). They are both from BeauTeaBar.com. If you're not familiar with BeauTeaBar, it is an online shopping destination that specializes in providing women with carefully-curated, hard-to-find, all-natural skincare and makeup, as well as organic teas. Every product on the site is 100% free of toxins, chemicals and other scary ingredients. Sweet isn't it?! I have never used anything that has left my lips as silky smooth as this lip conditioning. I love applying it before going to bed and after bruising my teeth in the mornings. The best part is that I barely re-apply it throughout the day. It's very long lasting. This has to be my #1 favorite beauty product of the year. After exfoliating my face with the coffee face scrub I like applying two Dr. Jart+ products which I have written about before here. I use the Ceramidin cream and liquid form. I like applying these two products only before bed because I feel that nighttime regimens are so important and more of us need to start doing it. 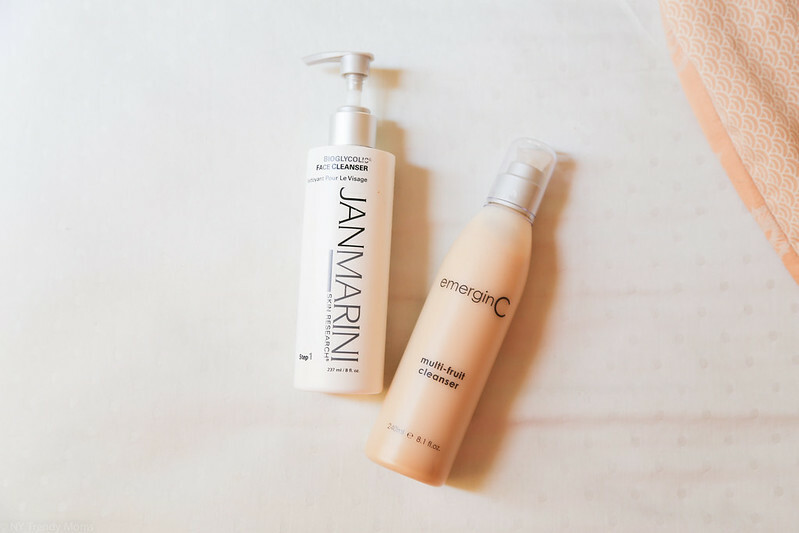 I've also been using another face cleanser from JanMarini. I tend to use this cleanser when I breakout or when I know I'm going to breakout. You know, days like.. when I visit my mom and end up eating 2 pastelitos and 1 quipe for appetizer + moro con rabo and a side of tostones for the main course AND a few bites of flan. This is when I know I will get acne the next day. 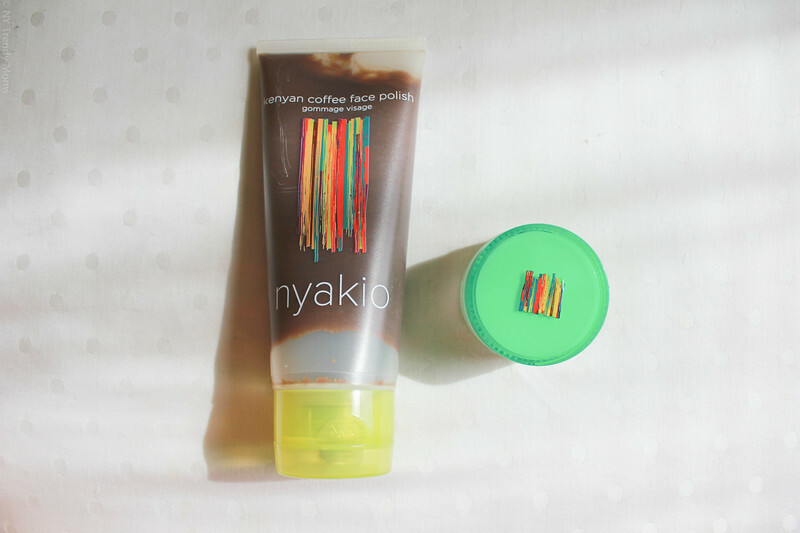 After using this cleanser my skin feels much stronger, I love it. You can find more beauty talk here.